After spending a couple of weeks searching for the perfect Father’s Day gift, I decided that the best one could be made at home. 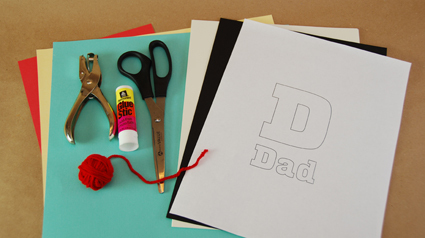 Rather than shop for an affordable sentimental token of our appreciation that would probably find itself in a storage box next week, we put together a book that captured the kids creativity and expressed a love for their dad like only a child can tell it. To get started, I gathered a colorful selection of left-over printer and construction paper we had laying around the house. The rest was done with just what you see here. To get the lettering just right, I played around with different fonts on the computer then printed out what I liked. Cutting the lettering was the most challenging part of the project. 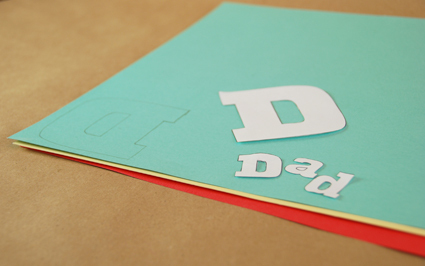 Using an X-Acto knife would allow for really crisp and smooth cutting. Here I cut a template from printer paper and traced them backwards on the back side of the paper. This hides all of the pencil marks from the front of the letters. To make the “D” look more substantial on this Father’s Day gift, I added some outlines to give it a varsity sports lettering effect. The easiest way to do it is shown here. For each outline, start by gluing the original letter to a new piece of paper. Rather than trying to create several templates and guess at the correct size, simply cut along the edges and eye-ball it. After adding the red outline, I did the same thing on yellow paper and made the outline a little thicker. 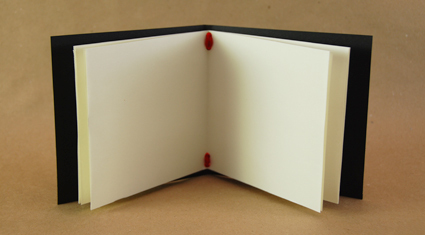 To make the book itself, start by folding and trimming the interior pages to a size of your liking. Fold and cut the cover a little bit larger. In this case, I also folded a 1/4″ spine to give the cover a little more substance. To assemble, stack and center all of the pages inside the cover and punch a couple of holes on the top and bottom and thread through with yarn. 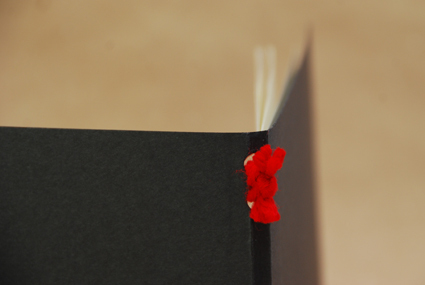 On the outside of the book, tie a firm knot and trim. 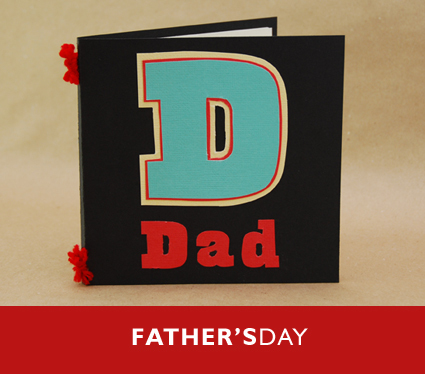 Now it’s time to fill your Father’s Day book! 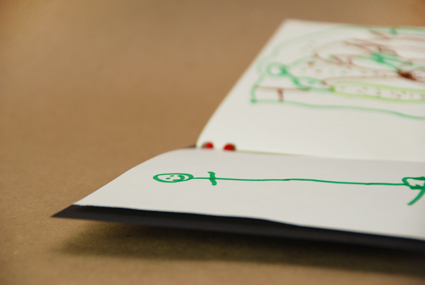 Because our children are toddler and preschool ages, the content of the book was geared to what input they could give. I asked them a series of open ended questions that resulted in some rather humorous and endearing sayings. Some examples: “My dad is so big, he is as big as….. a giant cucumber.” “My dad works hard for us by…. going to lunch.” Each page has a saying and a picture to go with it. It could’t have turned out any better for Father’s Day!